References are critical to the review of your application. To avoid processing delays, please review the directions to be certain the information you submit is complete and accurate. Before you enter your reference information in this section, it is suggested you contact the individuals to confirm they will author your reference and to find out their preferred email address. 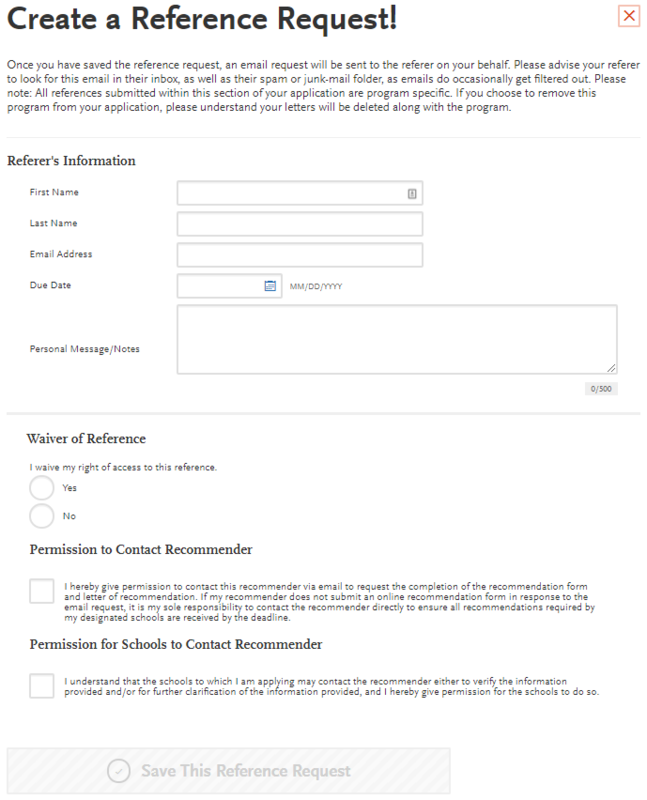 References are configured by the school and can vary depending on the program you select. If References are required or requested (note: they will be marked as “optional”), you will see an “References” tab on the Program’s Homepage in the “Program Materials” section. To create a Reference Request, go to the Supporting Materials, and click References. 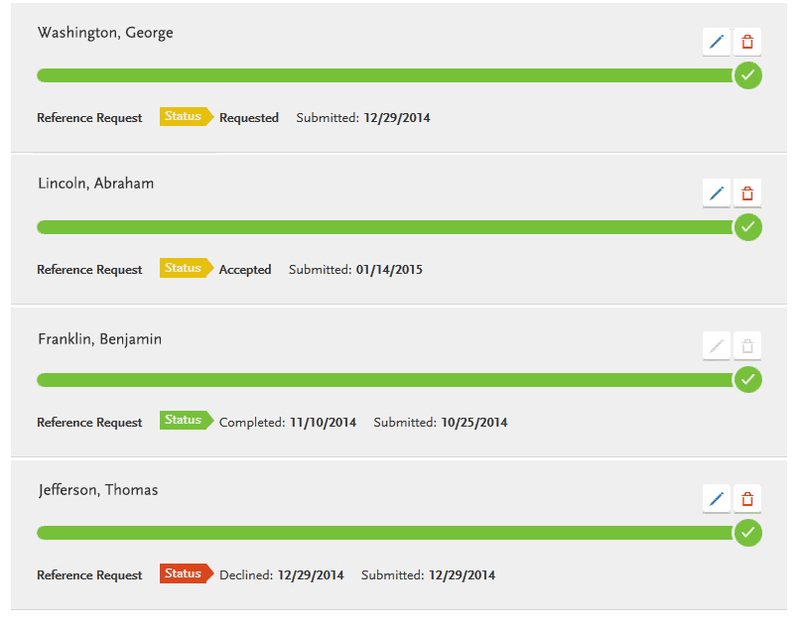 If you do not see an References tab then you are not required to submit them via NursingCAS. Once you have saved the request form for your References, they will be notified via email that you requested their reference. They will need to follow the directions in the email to create an account and fill out the required information. If at any time they have difficulty, please have them send an email to nursingcasinfo@nursingcas.org that includes their issue and your applicant ID number. You are able to review the status of your References by going to the “Supporting Information” section of your application and clicking on References. Note: it is not necessary to wait until your References have responded to submit your application. Requested – Your email has been sent to your Reference at the email provided. Accepted – Your Reference has gotten the email and logged into the portal after creating an account. Completed – Your Reference has submitted your Ratings and Letter. Declined – The Reference declined to complete the Reference. Please delete and re-add if this was a mistake.